Oklahoma will see a revenue failure this fiscal year after it was announce Thursday that November’s revenue was down $50.1 million, or 12 percent , from what was budgeted. 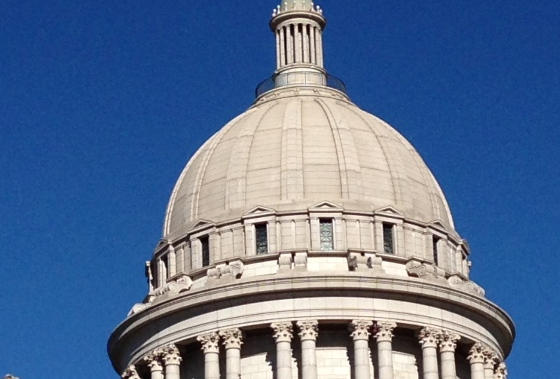 State Secretary of Finance Preston Doerflinger said in a press release the state will enact midyear budget cuts for “appropriated state agencies,” and that Oklahoma faces a $900.8 million budget hole heading into fiscal year 2017. The state last declared a revenue failure in 2009. At that time, departments were directed to cut 7.5 percent of their monthly revenue, according to John Estus, a spokesman for the Office of Management and Enterprise Services. That was changed on a department-by-department basis when the Legislature reconvened. Doerflinger downplayed the significance of tax cuts in causing the shortfall, saying the bulk of the lost revenue is due to low oil prices. The price of a barrel of oil is down about 70 percent from June 2014. An official declaration for a revenue failure could come next Monday after the Board of Equalization meets. Education would be the biggest loser in Oklahoma if a revenue failure is declared next week, triggering across-the-board budget cuts, Estus said. Estus said education takes up the largest portion of the state’s budget, and will therefore take the largest financial cut due to a reduction. State Superintendent Joy Hofmeister said her department and schools across the state are bracing for cuts. Other state entities are also preparing for the cuts. State Higher Education Chancellor Glen Johnson said his agency has been trying to plan ahead for the mid-year shortfall. Other agencies, already hard-hit, will have a hard time finding additional places to cut. State Department of Corrections spokesperson Terri Watkins said her agency is already staggering under a strained system. Jo Kilgore, Public Information Director for the Oklahoma Health Care Authority, said the agency has already issued a rate reduction to providers. The state builds a 5 percent cushion into its appropriations budget to prevent midyear reductions if revenue were to fall short. If revenue is projected to fall below 5 percent for the remainder of the fiscal year, a revenue failure is declared and reductions are made to balance the budget. The state would only need to make up about $157 million to get back within that a 5 percent cushion that is build into each budget to account for any shortfalls in revenue. Oklahoma currently has $385 million in its reserve fund, commonly called the “rainy day fund,” Estus said. The Legislature could opt to use that to cover up to $144.4 million of the shortfall when it reconvenes. Gov. Mary Fallin issued an executive order in October asking departments to submit plans this month to reduce non-essential funding by 10 percent in preparation for midyear budget cuts.